When it comes to home loans, you always have the option to switch through refinancing. In fact, most home-loan experts would advise you to review your current mortgage to ensure that you still have one of the most competitive products in the market. Refinancing is the solution for homeowners who may not be happy with their current lenders anymore. Switching banks is smart move — especially if it will eventually let you save thousands on your mortgage. When you refinance, you move your home loan from one lender to another. Your new lender will treat it as a new application, and thus will need to get your property valued again. However, there is no need to undergo the settlement process. 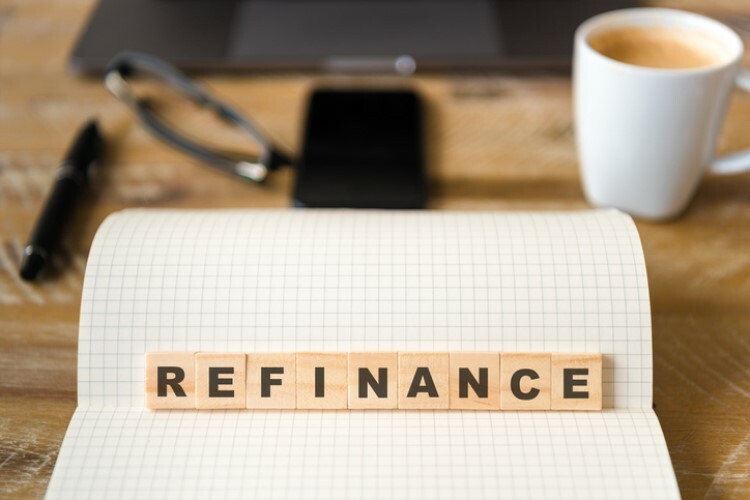 While refinancing typically involves another lender, there are instances when you can refinance your loan with your current lender; you just need to look at their newest home-loan offerings and check if you are qualified for the one that you think is right for you. One of the main reasons borrowers refinance their mortgage is to get a cheaper deal either from the same bank or from another lender. If a home loan is more affordable, it means it has a lower interest rate, minimal fees, or both. Imagine that after five years, you still have to pay $500,000 on of your 30-year home loan at 5% interest. Going with the 5% rate, you will be paying around $2,923 monthly. Assuming that the rate stays as is, you will have spent a total of $897,885 for the remaining 25 years of the loan. Let’s say you decided to refinance and you went for a home loan with a 4.9% interest. At first glance, you would probably think it would not do so much. With that rate, your monthly repayment drops to $2,894. However, consider how much that 10-basis-point reduction in interest rate can shave off of your repayments; the $29 difference, assuming that the rate stays the same for 25 years, can help you save up to $8,700. You can only imagine how much more you can save if you go for loans with significantly lower interest rates like 4.5%. It is essential, however, to note that there are instances when refinancing might not help you save money. If you refinance to a loan at a longer term, you will still pay more overall despite paying less monthly. More on this later. It is important for lenders to assess your loan-to-value ratio when you apply to refinance. Usually, banks and lenders will only allow refinancers to borrow up to 80% of their property's value. How can this help you unlock the equity in your home? You bought a $600,000 property with a 20% down payment. This means that you only need to borrow $480,000 from your lender. After several years, you still owe your bank $400,000. In simple terms, your equity on your home is $200,000. However, home values move. For this example, let us say home values in the area where your property is located grew by 15%. Your property's value is now $690,000 and your equity jumps to $230,000. As it stands currently, you still owe $400,000, which is only 58% of your property's value. When you refinance, you can borrow the remaining 22% against your equity if you want to max out the 80% LVR requirement. In total, you can take out a $552,000 home loan when you refinance. From that amount, you can use the $152,000 to whatever your heart desires. However, you have to be careful in spending the money you got from cashing in your equity. In a nutshell, borrowing against the equity of your home is like giving back the majority of your ownership to your bank. You would want to invest the money you got to grow its value. When investing the amount you borrowed against your equity, be sure to put it toward a long-term investment. Using it to pay for bills or buy a new gadget is highly discouraged — doing so will only lead to you losing the opportunity to grow the cash you got from your home's equity. It is suggested that you invest in assets like shares and property. You can also use the money renovating your home to boost its value. As discussed earlier, how much better your home loan experience will be when you refinance depends on your understanding of mortgage rates and terms. If you choose to go for a home loan with a lower interest rate but a longer mortgage term, you will most likely pay lower monthly repayments. However, the "time equals money" philosophy applies here — the longer you have to pay, the higher the total amount you have to settle. For others with a goal of reducing the amount of interest they pay, the most important thing to look for is a home loan with the lowest interest rate at the shortest term. You have to make sure, however, that you can still afford it since shortening the duration of the loan could mean higher monthly repayments. 4. Refinancing comes at a cost. Refinancing entails costs which you have to weigh carefully. You have to see to it that whatever expenses you incur will not exceed the potential savings you can get from switching your lender. What are some of the standard costs associated with refinancing? You might be charged with upfront fees when you refinance with another lender. This includes application and processing fees. You will be charged with break costs by your current lender if you decide to refinance within your fixed-interest rate period. While there are no specific computations for this fee, it can be as much as $10,000. Remember the significance of LVR? If you borrow more than the maximum LVR, you will be required to shoulder the insurance policy for your lender.